As businesses grow, so do their hosting needs. E Street’s Cloud virtual private servers (VPS) offer the next step up from standard web-hosting plans. It’s an ideal balance of cost and performance. With Pay As You Go pricing, your E Street Cloud Servers are only billed for resources they use. Ideal for larger dedicated deployments of: Microsoft™ Windows Server Domains, File sharing/collaboration servers, private mail servers (Hosted Kerio™ Connect and MS Exchange™), Content Management Systems (CMS): Joomla™, Drupal™, WordPress™, and CRM apps. Leverage the power of E Street's VPS infrastructure, contact E Street for a FREE first month demo of your server. Enterprise-grade for all... E Street Dedicated Server hosting removes the expense, complexity and worry associated with deploying on your own network infrastructure, data center or colocation. Your IT team still gets to manage these fully scalable dedicated solutions. All hardware is E Street warranted, hosted on-site with hands-on supportas needed at the E Street secure facility. The ultimate in hosting power Dedicated Servers are available in Windows, Linux server, and Bare Metal hypervisor configurations. 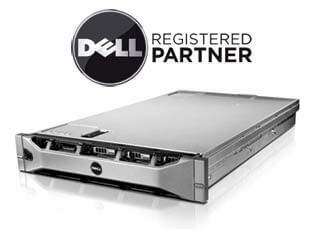 These are high performance servers fully devoted to the needs of one customer or company. Systems are custom provisioned with UNLIMITED specifications and offer the ultimate in scalability. The servers come professionally configured for you by E Street and Internet ready upon activation. Let us leverage our high-performance servers and virtualization to administer powerful cloud-based solutions tailored for your organization. With as few as 2 servers your Private Cloud can employ multiple high-availability Virtual Machines (VMs) with; Geo-redundant Disaster Recovery (DR), Content Delivery Networks (CDN), Cloud DNS, Integrated storage... and more. Made for small and enterprise customers, our private-hosting data center helps you manage and monitor your cloud-based business through E Street’s highly secure and dependable facility, located right here in Denver, CO.
Our proven, powerful, professional competitively priced “colo” infrastructure is backed by redundancy, security and proven performance you can count on. 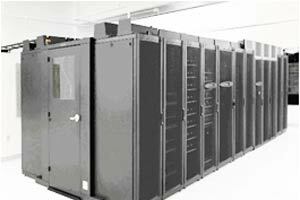 E Street's private hosting Data Center facility offers secure and dependable server colocation. Ideal for small and enterprise customers, built on E Street Proven Powerful Professional infrastructure with redundancy, security, and performance in mind. A perfect place to start.Get your business up and running on the Web with a simple, straightforward hosting plan for yourdomain.com including your private Email server for your domain. Starting at $15 per month, E-Business offers plenty of power with room to grow. E Street's E-Business plans are ideal for small to medium businesses that need a robust customized professional hosting presence. 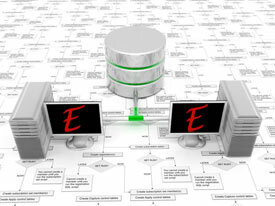 flexible, scalable hosting solutions that work. These plans are perfect for deployments of: Small to Medium sized business websites, Content management systems (CMS) such as Joomla, Drupal, WordPress, CRM File sharing/collaboration servers and E-Commerce. *Unlimited websites and domains mean you can host as many additional web sites, pointers, or subdomains as you like in your server. E Street does charge a $35/yr/domain fee to route additonal domain names in to your E-Business hosting plan.